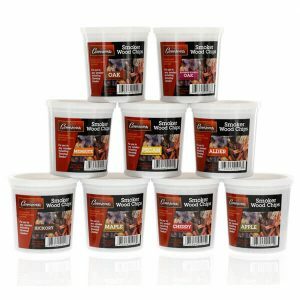 Outdoor BBQ Chunks are available in 8 flavors for your outdoor barbecue needs. 100% all natural. Kiln-dried. No additives. Made in USA. 8 different flavors - Alder, Apple, Cherry, Hickory, Maple, Mesquite, Oak and Pecan. 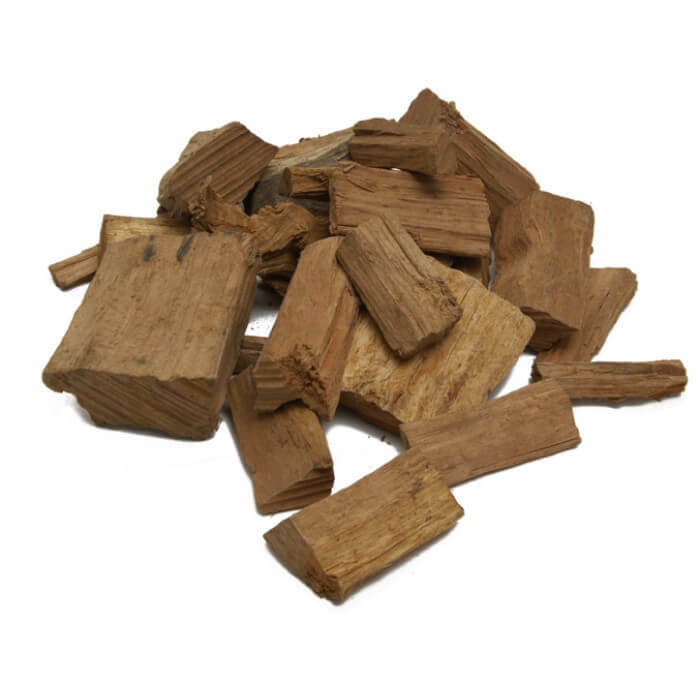 100% all-natural kiln-dried wood chunks. No additives! Fist-size ideal for outdoor BBQ needs. Sold by volume - approximately 5 pounds depending on wood type. Much to my surprise when the packaging was opened, the Cameron’s Products Small Bag BBQ Chunks, Mesquite was not small at all, but a good standard-sized bag, comparable to a standard bag of Weber Grill Chunks. 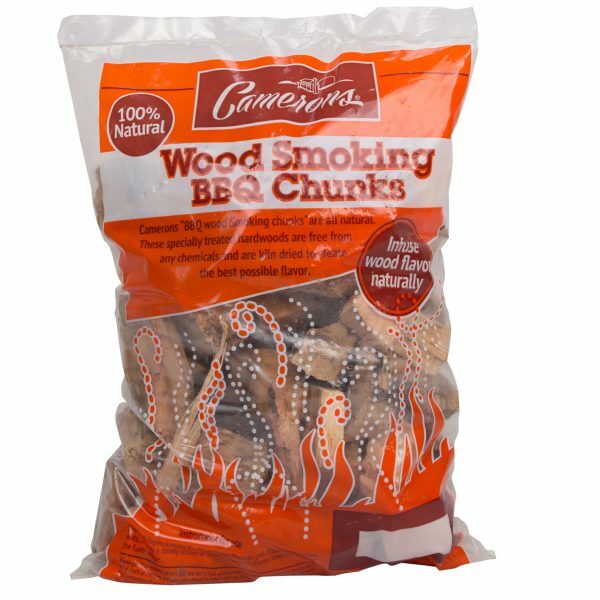 The Cameron’s Products Mesquite Wood Chunks arrived in about 7 business days (was purchased with free shipping) and provides that good-old-fashioned mesquite smoke flavor to barbecued meats. When utilized with hickory wood chunks, both impart a good smoked meat flavor when you barbecue at low and slow temperatures. The wood chunks arrived dry and when added to the smoker/grill, ignited, burned and gave off a good quantity of smoke. (It should be noted that only 1 or 2 chunks of wood should be used at a time, as a good barbecue should not produce a lot of smoke, just enough to flavor the meat). If I recall the purchase price correctly, this item was priced slightly higher than a similar-sized bag that was not the large wood chunks. Other providers offered even larger bags at greater cost. If one can do the math ahead of time, one might be able to compare cost-to-weight ratios as well as shipping costs and determine what the best value for your dollar actually is. 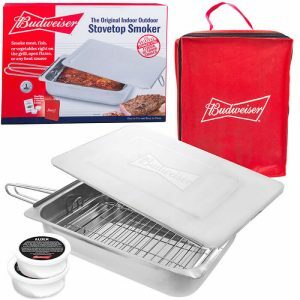 The Cameron’s Products was chosen because of the lower shipping costs which offered free shipping when the order was over $25 (this item was purchased with a outdoor 5-way grill spatula). Other 3rd-party amazon providers may not offer free shipping, so count these costs if saving money is important to you. 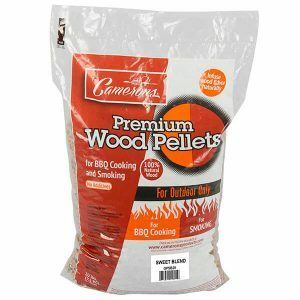 All in all, the Cameron’s Products Small Bag BBQ Mesquite Chunks received 5 stars for the fact that the wood chunks offered by Cameron’s Products were large wood chunks, not splintered small ones. The only slight disadvantage is the slightly higher initial cost, but this was expected because of the limited availability of large wood chunks. 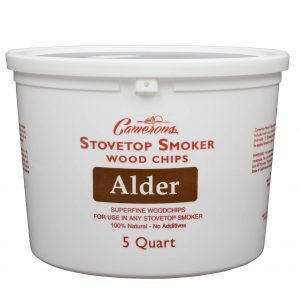 More often, manufacturers often find it easier to shred the wood utilized for smoking/grilling instead of cutting them to the appropriate grill size. Some machines are designed to shred the wood into these shards and this is less costly than the action of cutting them into chunks. Less labor means reduced cost. The large wood chunks required more labor, hence the higher initial cost. Factor this in, and then you’ll understand why larger wood chunks cost more than the shredded wood.